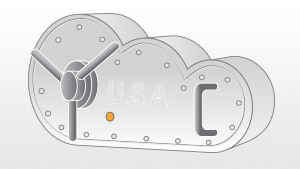 We are excited to announce that Amazon RDS is now available in the AWS GovCloud (US) region! Amazon Relational Database Service (Amazon RDS) is a web service that makes it easy to set up, operate, and scale a relational database in the cloud. It automates time-consuming database administration tasks such as backing up your database daily, upgrading your database software, and applying security patches. In addition, Amazon RDS also enables you to provide point in time restore, and deploy highly available synchronously replicated databases, freeing you to focus on your applications and business. Amazon RDS supports the MySQL, SQL Server, and Oracle database engines in AWS GovCloud (US). Amazon RDS customers include organizations such as NASA’s Jet Propulsion Laboratory. AWS GovCloud (US) is an AWS Region designed to allow US government agencies and customers to move more sensitive workloads into the cloud by addressing their specific regulatory and compliance requirements. To learn more, please visit our AWS GovCloud (US) home page or contact us.